Westek Electronics introduces the new Smart Fieldprobe PI-05 for electric field measurement applications. Extending the application field of the Smart Fieldmeter to 40 GHz, the new Smart Fieldprobe PI-05 is suitable for EMC and RF safety applications in avionics, military and radar, including microwave K-band measurements and measures a compact 230x58 mm in size. Utilising correction factors, the Smart Fieldprobe PI-05 has a close to flat response to 40 GHz with a variation of no more than ±2 dB. The isotropic diode detector forming the heart of the Smart Fieldprobe has very high sensitivity (1.2 V/m) and excellent linearity (± 1 dB to 1000 V/m). 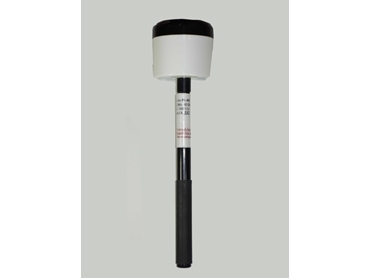 The Smart Fieldprobe PI-05 extends the use of the Smart Fieldmeter. The Smart Fieldmeter SFD electromagnetic field monitor employs a powerful data processor with data storage on removable flash memory data storage cards (MMC compatible) capable of typically storing data files of 100,000 points with a total capacity of 999 data files. Format is in text readable by Excel or Word. An adjustable threshold and 2 kHz buzzer operating on instant or average values supports rapid field intensity assessments. The Smart Fieldprobe PI-05 comes with multiple interfaces including serial, bi-directional, optically and fibre-optic RS232, and IR remote control.